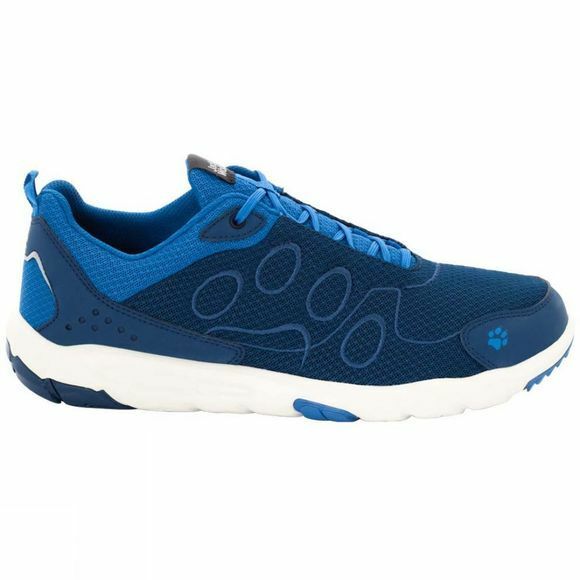 A light and airy all-round shoe for activities on land and on or in the water: The Men's Monterey Ride Low Shoe , with Jack Wolfskin's Texacool climate system, gives your feet comfort and protection even on really hot days. The upper is made entirely from mesh fabric. This ensures a constant flow of fresh air and means the shoe adapts to fit your foot. The shoe protects your feet both in and on the water. Back on land, the water simply flows out through the drainage channels in the sole. These channels form part of the Texacool system and promote air circulation.